Home »Uncategorized»Love will have its sacrifices. Also, its dice pools. I got recommended Carmilla earlier this week, and since then I’m seeing it everywhere. 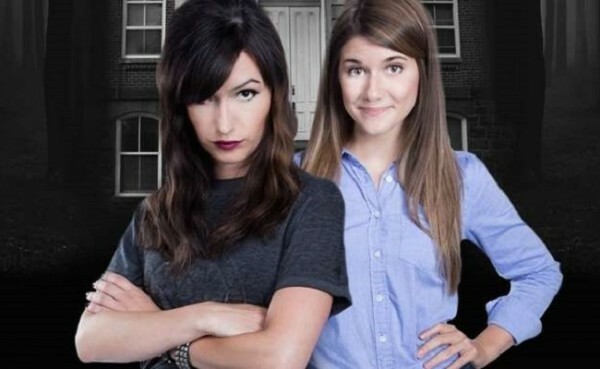 A loose riff on my favorite gothic novella, it casts Laura and Carmilla as college roommates at a… quirky… university. It starts out funny and charming, then becomes hilarious and a bit tearjerking. It’s all kinds of good. It got me thinking about how much I enjoy dysfunctional monster stories. And that’s good, because I’ve been getting paid to write them for eight years. Carmilla is less dark and bloody than my work, but it’s still full of awkward moments and dreadful misunderstandings and crushes on the wrong people. I love that stuff. And like all things I love, I’ve decided it needs a roleplaying game. Allow me to introduce Die For You1, a simple roleplaying game about love and monsters. You play someone in one of those tough spots being young puts you in: high school, college, or first job… with the added trouble of supernatural mystery and maybe werewolf sororities. As usual when I design something and put it up here, I want to talk a little bit about the design decisions. The first games that came to mind when I thought about interpersonal drama were Smallville and Primetime Adventures. I decided I wanted something with less narrative jockeying than PtA, and less rules and prep than Smallville.2 My first thought was to build it on cards with different suits for different types of problems, but that didn’t quite come together. After that, I thought about literally doing a simplified Smallville, but I decided I’d rather stick to d6s because they’re easier to scrounge up. The next game I thought of was Trollbabe, with its single numbered trait and three types of rolls (fighting, magic, and social). And that led me to consider the core mechanic from Lasers and Feelings, wherein you roll a few d6s based on skill and circumstance, and try to get over or under a trait number, counting successes. For traits, I looked at the kind of uncertainty we see in Carmilla, and broke it down into three categories: Feels, Weird, and Real Life. These depend on each other: you split six points between Feels and Weird, then set Real Life to the lower of the two. Back to the Smallville influence3, I wanted characters to be able to use relationships as leverage. We see that a couple of times in the series. I won’t say exactly where because of spoilers, but each of those cases comes down to one of the characters trying to accomplish something and pushing or taking advantage of the trust of another character to get it. So each character either Trusts or doesn’t Trust each other character. If someone Trusts your character, you can use that trust to roll an extra die. The wrinkle I like the best, though, is a simple rule in player vs. player conflicts: when you succeed at cost against another player, that player names the cost. There’s a little more to it, but those mechanics are the core of the design. Looking forward, I’d like to revise and test a little bit, and work out a few more mechanics for consequences and recovery, maybe a bit like Mouse Guard‘s condition system. And I’d like to get the thing laid out all pretty. So there you go. My newest (and hardly last) game about heartbreak and vampires. I rather like what I am seeing here. I am going to have to keep and eye on this, looks like a lot of fun. About the traits: I did traits based on what provokes anxiety in Carmilla. This isn’t far off from something like Buffy, but a show where you see so little of the non-Feels resolution really highlights where the uncertainty lies.